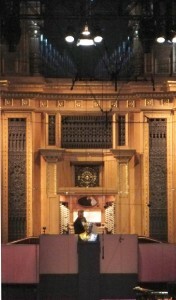 The organ at the Albert hall is one of the wonders of London, and a genuinely thrilling instrument to hear. It is the second largest in the UK, with nearly 10,000 pipes, the largest of which are 32 feet high. But what is important about it is the sound. 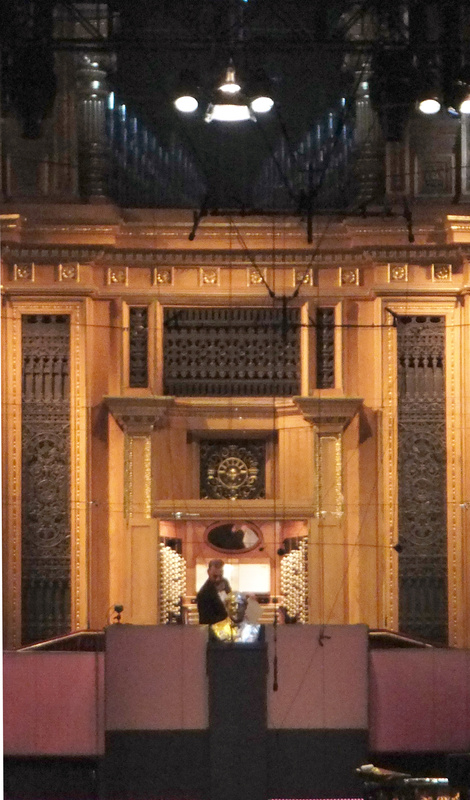 The organ was fully refurbished in 2004, and can now fill the Albert Hall with a truly amazing range of sounds. The bass, at its lowest level, can actually be felt – the entire column of air between you and the organ shudders – to generate a musical experience unlike any other in the capital. On Tuesday night, Prom 34 included the Saint Saens symphony No 3 ‘the organ symphony’. This is a wonderful piece of music, from my favorite country (France) and period (1880-1930). It has moments of true lyricism, and others of extraordinary power. In addition to the organ it includes piano for two and four hands and a large percussion section as well as the usual massed strings and woodwind. Played on this night by the BBC National Orchestra of Wales, conducted by François-Xavier Roth it featured Thomas Trotter on the organ, and it showed off the instrument to the full. This is an impossible piece to describe – but in the attached link you can get a feel for it from another live performance via YouTube. The Albert hall often feautures organ concerts – I do urge you to go along and listen some time – it’s a sonic experience like no other. Of other organs to listen to, the largest in the UK is in Liverpool Cathederal, and probably the most celebrated musically is the monster at St. Ouen in Rouen, France. I attach a link to the Saint Saens Symphony being played on the latter – I am going to make a detour to hear this on my next trip to La Rocheliere. Like most people I suspect, I consigned organ music to dusty memories of school hymns and church services, but the range of music that these incredible instruments is really not to be missed, and if you like bass sounds, you can kiss your subwoofers goodbye. You haven’t heard bass until you have heard it coming out of a 32 ft pipe connected to a giant air compressor. * OK, I know. Very childish.